Channeling former President Bill Clinton, Richard Milhous-Hussein Obama addressed the growing Jonathan Gruber/Obamacare scandal that is engulfing his Regime from Australia this morning (Politico). “The fact that an adviser who was never on our staff expressed an opinion that I completely disagree with in terms of the voters is not a reflection on the actual process that was run,” Obama declared at a press conference here, speaking for the first time about the comments by MIT economist Jonathan Gruber. Here's the video (along with news of another ISIS beheading) showing Fox News' Ed Henry asking Obama. As usual, Obama is doing his usual plausible deniability (aka The Limbaugh Theorem) on the issue (just like the IRS and ISIS)..."I didn't know bout that til I was told about it before coming on stage here." Obama is lying and it is easily provable. 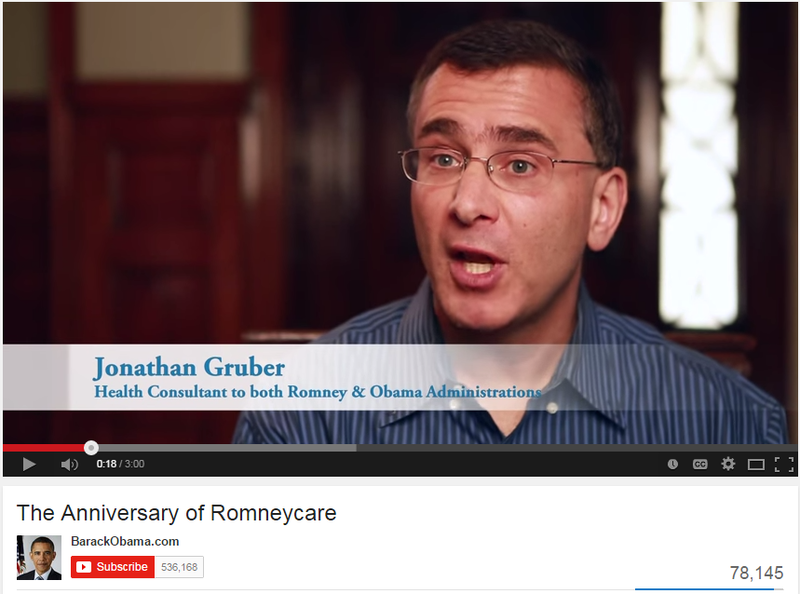 Exhibit A - Obama's 2012 Campaign used a video on the anniversary of RomneyCare in which Gruber was "featured prominently", according to CNN on April 12, 2012. Maybe you've heard the president's top aides call Mitt Romney the "godfather" of the Obama health care law? Exhibit B - Obama's Department of Health and; Human Services paid Gruber, and, according to White House visitor logs, he visited the Executive Mansion 19 times. Nancy Pelosi (who now claims not to know Gruber) and the White House website cited Gruber (Fox News). Gruber also spent a good deal of time testifying on the Hill and in meetings at the White House – 19 visits from 2009 to June of this year, according to publicly available logs. 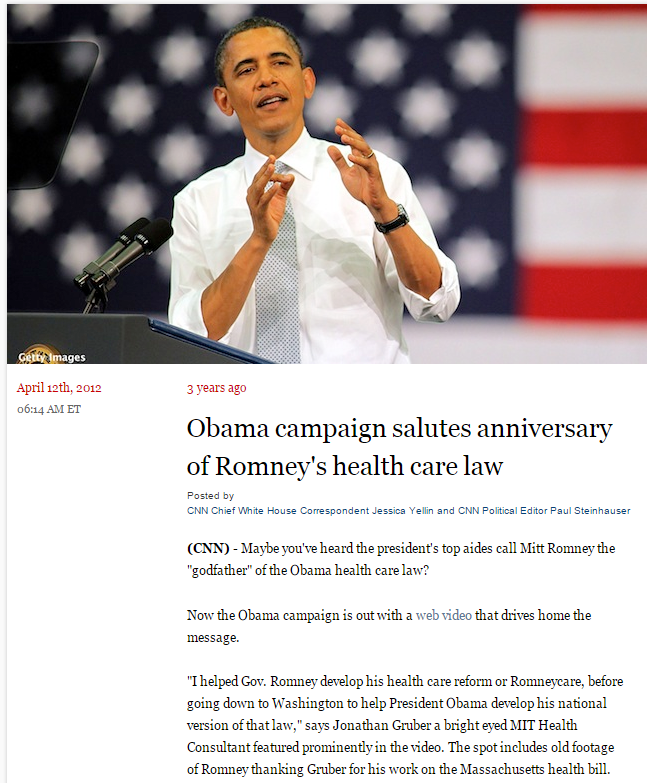 Exhbit C - As for the claim he did not mislead America on health care, we've long known, and the Obamacare rollout last year proved it, how everything Obama said about his health care plan was bull-s**t! Here's video compilation by Sean Hannity of Obama's lies, that you could keep your doctor, your health-care plan, and insurance would be more affordable. Period! But it isn't true. Insurance costs increased, coverage went down, and millions of Americans lost their coverage that Obama promised they could keep. Like Rich Weinstein, an investment adviser in Philadelphia who received notification in 2013 his insurance plan was being cancelled. After doing research on the Internet, Weinstein uncovered the Gruber videos, doing the job our corrupt lapdog media refuses to do.